Registration begins at 8 am and closes at 11:59 pm on the dates listed above and online at IMleagues.com. All leagues and tournament brackets will be filled on a first come, first serve basis. 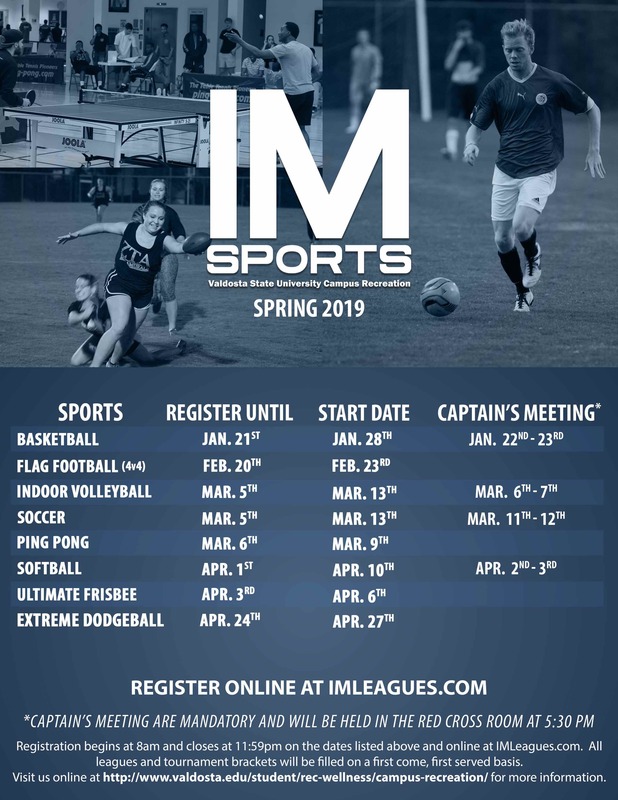 Check out IMLeagues for more information and sign your team up today!